Pocosins are dense with shrubs such as black titi (Cliftonia monophylla), gallberry (Ilex coriacea) and sweetbay (Magnolia virginiana). 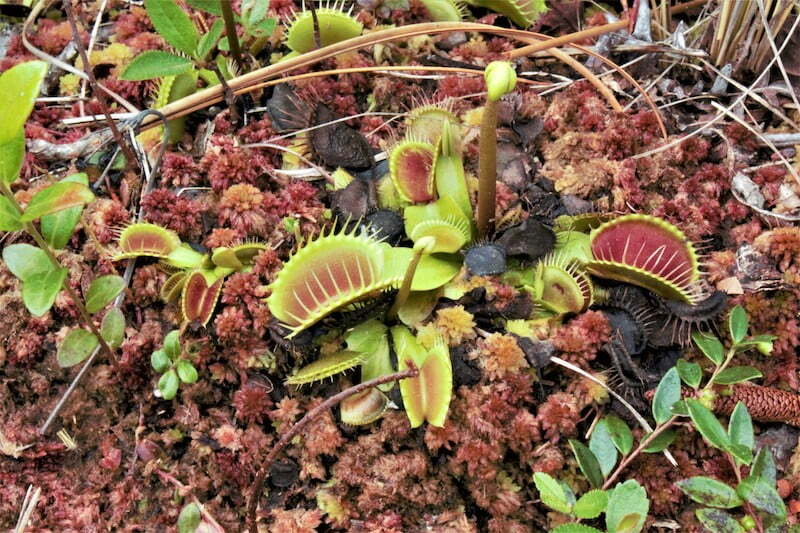 Thousands of years of muck have produced acidic, nutrient deficient soils where a carnival of carnivorous plants grow, notably the Venus flytrap (Dionaea muscipula), a member of the sundew family, which opens and closes its hinged leaves in response to an insect brushing against tiny trigger hairs on the leaf’s inner surface. In half a second, the trap shuts and the plant secretes digestive juices, taking about a week to fully absorb the insect. 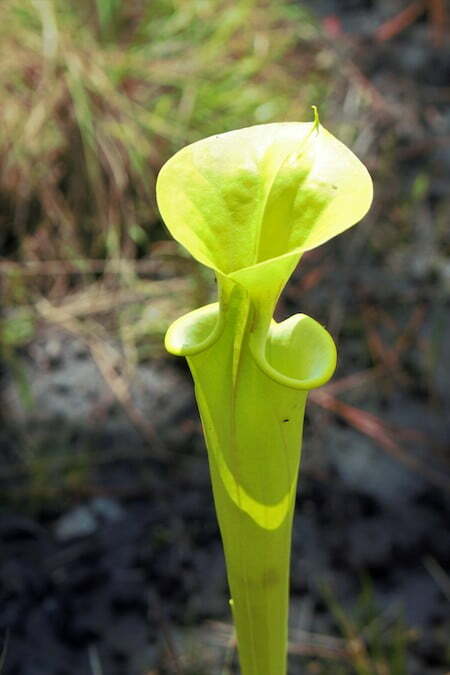 Charles Darwin called the flytrap “one of the most wonderful plants in the world”. Surrounding the pocosins are long-leaf pine savannas. The pine (Pinus palustris) grows from southeastern Virginia, all the way to the Florida panhandle and west to the Piney Woods of Texas. “A magnificent grove of stately pines, succeeding to the expansive plains we had long time traversed, had a pleasant effect, rousing the faculties of the mind, awakening the imagination by its sublimity, and arresting every active, inquisitive idea, by the variety of scenery”, wrote William Bartram in 1791. 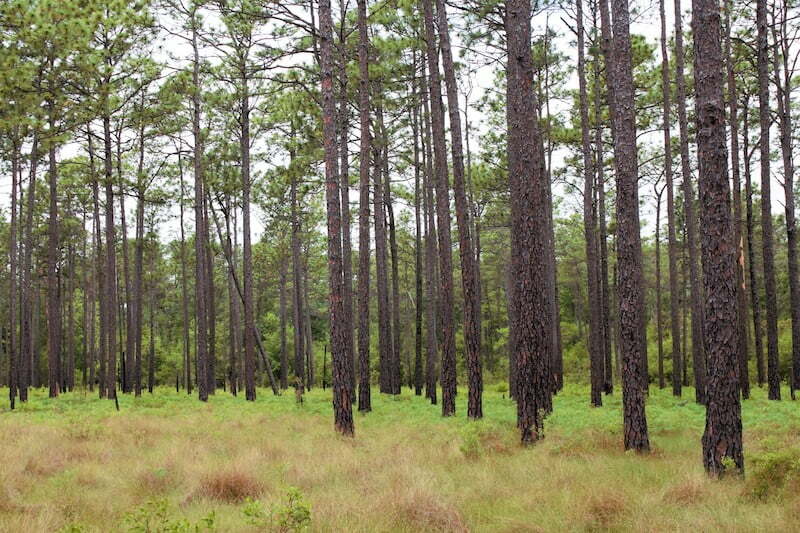 Now, longleaf pine savanna is one of the most endangered ecosystems in the United States with only about 12,000 acres (4,856 hectares) of fragmented old growth remaining of a pre-colonial population of 90 million acres (364,21,707 hectares). The pine’s demise is due to its usefulness to humans and to human greed. Tar, pitch, rosin and turpentine, four products derived from pines that protect wood and rope from rotting, caulk planks, and deter wood-boring insects and mollusks. Perfect for ship and house building. The high resin content of Pinus palustris, made it especially useful to the expanding colonies. Business boomed, especially with the cheap labor of slaves. But within sixty years of the end of the “war between the states” (1861-1865), the once great forests were gone, chopped down, sawn up and boiled. 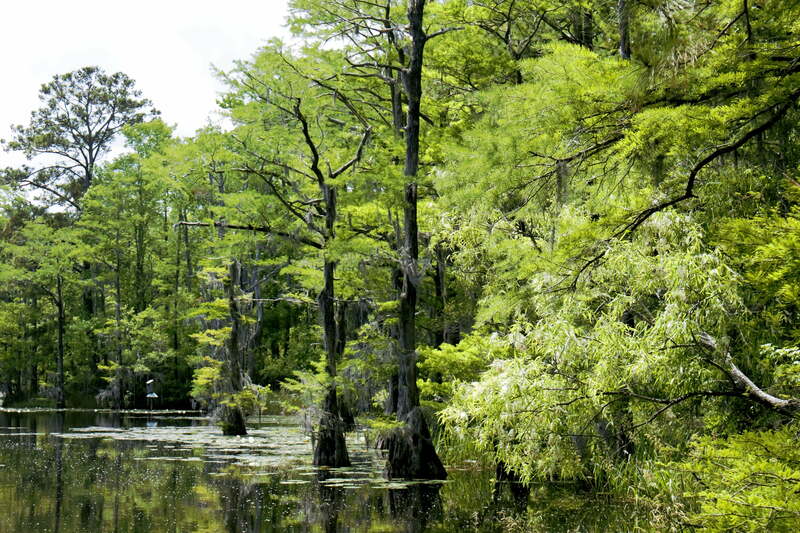 Can bald cypress breathe through its knobbly knees?